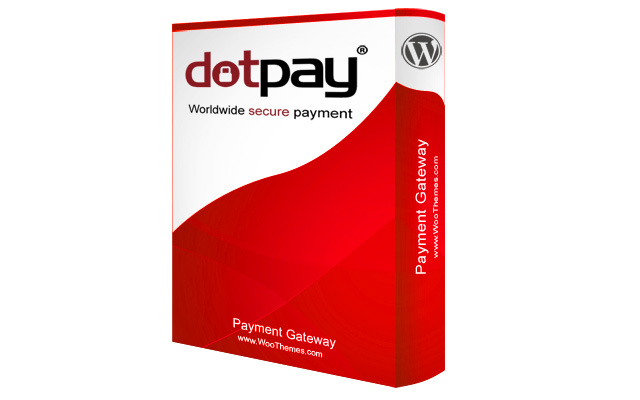 With Dotpay, you can accept payments in any of forty five payment methods, nine languages, and seven currencies. 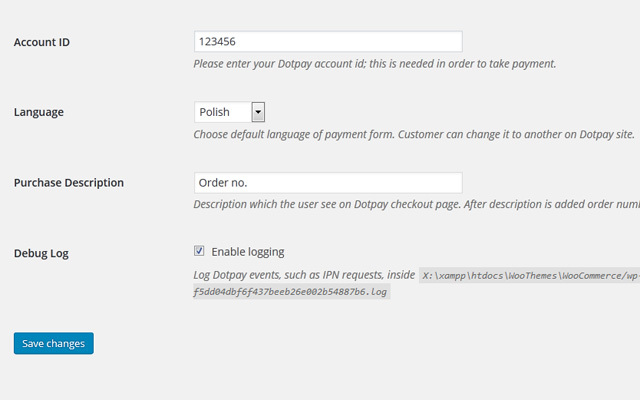 And now, you can start accepting payments via Dotpay with your WooCommerce shop. Accept payments using methods like: mBank, PKO, PayPal, Credit Cards and much more. Allow customers to view their checkout form in any of 9 different languages. Support IPN (instant payment notifications) – payment provider will communicate with gateway each time transaction status has changed by using hidden channel. No user action like click ‘back to site button’ required to complete transaction. 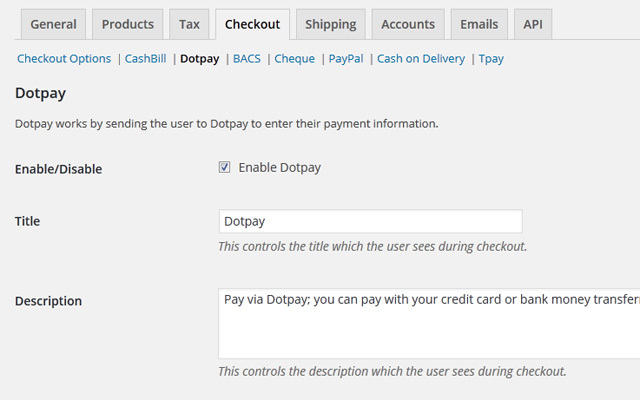 Once activated, you can configure the settings via the “WooCommerce->Settings->Checkout” page. Note: This plugin will automatically error and deactivate itself if the WooCommerce plugin is not installed. Simply reactivate the plugin through the Manage Plugins page once the WooCommerce plugin has been activated.